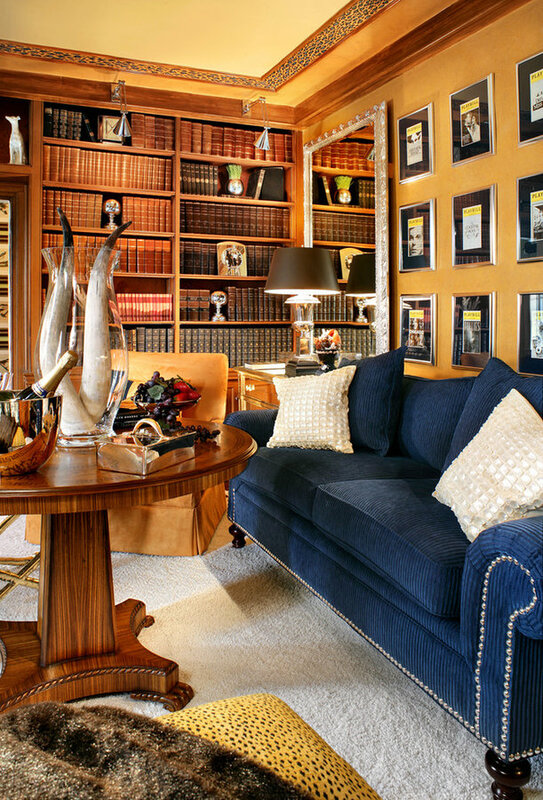 This room entitle a "Broadway Study" was designed by our firm for a show house. We used the playbills from various Broadway plays as our inspiration and framed them and used them as art. 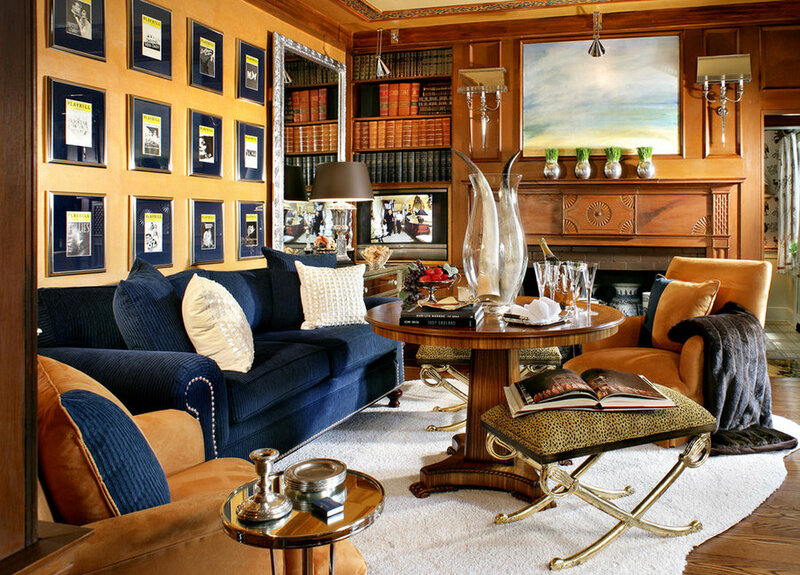 The ceiling was fauxed to have a leopard border in blue and camel. 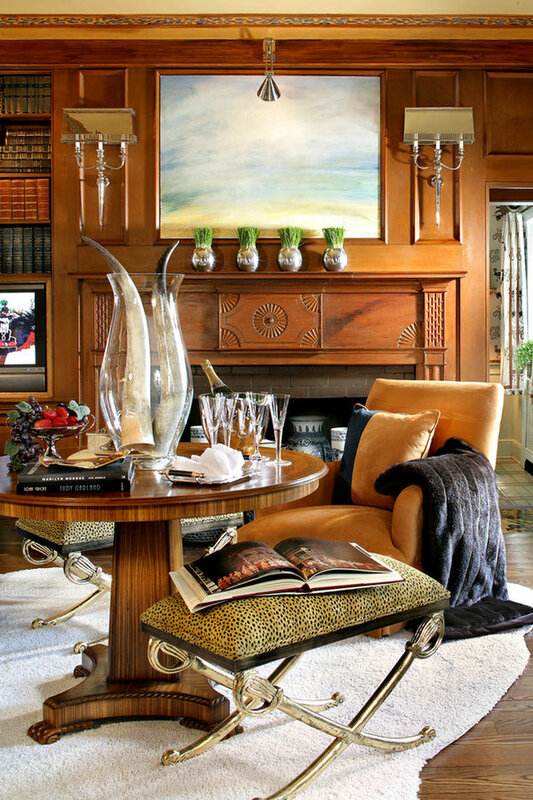 The original wood work from this historic home was restored. We used an original art piece over the mantel by Lynn Donovan of Maine. The center table is an inlaid burled wood piece. 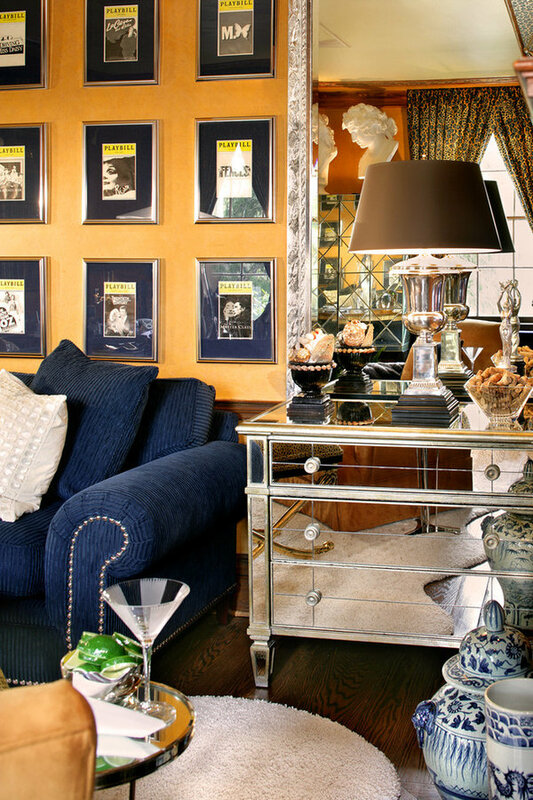 The chests flanking the blue cordoroy sofa are mirrored. Enjoy!